To claim this profile, please confirm you are Aria Morgan. To follow this profile, please let us know your relationship to Aria Morgan. Aria was selected the Player of the Game in the basketball game against Hearts Toward Home HomeSchool on Sat, Jan 26 2019. Congratulations to #2 Aria Morgan for being selected the Bowling Green Christian Academy Girls Basketball Player of the Game. Aria's basketball stats have been updated for the win @ Monclova Christian Academy. RESULTWin Girls varsity basketball @ MCA. The Bowling Green Christian Academy varsity basketball team won Thursday's away non-conference game against Monclova Christian Academy (Monclova, OH) by a score of 50-25. Aria's basketball stats have been updated for the win @ Northwest Ohio Christian Home Educators. RESULTWin Girls varsity basketball @ NOCHE. The Bowling Green Christian Academy varsity basketball team won Tuesday's away non-conference game against Northwest Ohio Christian Home Educators (Defiance, OH) by a score of 54-21. Aria's basketball stats have been updated for the loss vs. Lima HomeSchool. RESULTLoss Girls varsity basketball vs. Lima HomeSchool. The Bowling Green Christian Academy varsity basketball team lost Saturday's neutral conference game against Lima HomeSchool (Lima, OH) by a score of 60-38. Aria's basketball stats have been updated for the win vs. Hearts Toward Home HomeSchool. RESULTWin Girls varsity basketball vs. HTHHS. The Bowling Green Christian Academy varsity basketball team won Saturday's neutral conference game against Hearts Toward Home HomeSchool (Marion, OH) by a score of 33-29. Aria's basketball stats have been updated for the win vs. Christian Academy. RESULTWin Girls varsity basketball vs. Christian Academy. The Bowling Green Christian Academy varsity basketball team won Saturday's home non-conference game against Christian Academy (Sidney, OH) by a score of 60-33. Aria's basketball stats have been updated for the win @ Heritage Christian. The Bowling Green Christian Academy varsity basketball team won Monday's away non-conference game against Heritage Christian (Findlay, OH) by a score of 65-4. The Bowling Green Christian Academy varsity basketball team won Saturday's neutral conference game against Hearts Toward Home HomeSchool (Marion, OH) by a score of 51-37. The Bowling Green Christian Academy varsity basketball team won Tuesday's away non-conference game against Northwest Ohio Christian Home Educators (Defiance, OH) by a score of 51-22. 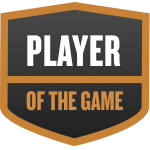 Aria was selected the Player of the Game in the basketball game against Faith Christian on Sat, Jan 12 2019. Aria's basketball stats have been updated for the win vs. Home School .